In Morzine, fabulous skiing is a given. With the world's largest linked ski area - the Portes du Soleil - on its doorstep, Morzine gives you easy access to over 650 km of pistes. It enjoys a glorious setting with stunning views, a truly Alpine ambience and has one of the liveliest après ski scenes to be found. 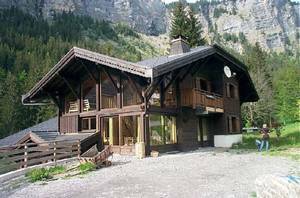 Morzine's also well-known for its warm Savoyard hospitality and excellent range of restaurants. So if you're thinking of buying a ski property, why not consider Morzine (Morzine Property Directory and Guide)? When you're booking a hotel, or renting a chalet, it can be exciting to go out on a limb and pick a place that is little known. If it doesn't work out you simply don't go back. But when it comes to buying a ski property, the stakes are much higher. You need to know that it's going to work. You need to be sure you'll want to return, year after year. And, if you're planning to use your ski property to bring in a rental income too, you need to know that other people will also want to be there (Letting property in France). That's where Morzine comes in. If you're looking for that perfect location for a ski property, you can't go wrong with Morzine. Its popularity is confirmed by thousands of holidaymakers every year. The resort is also becoming more and more popular with property buyers. Its size increases season after season. But, don't let that put you off. Morzine still remains one of the Alps' most delightful locations, with stunning scenery and traditional style buildings. Some of Morzine's visitors are expert skiers who enjoy the acclaimed black runs and off piste skiing for which Morzine is famed. However, not everyone is so accomplished or confident, and many are holidaying with children. Morzine's ski schools are an excellent resource for beginners or those wanting to improve their skills and get more out of their holidays. And, as the British continue a long time love affair with the resort, many of the instructors have honed their English speaking skill - a boon for non French speakers who need to worry more about staying upright than translating unintelligible instructions! Choosing a location for a ski property requires the consideration of several factors. And, if you are going to offer it as a rental property (a great way of financing your own holidays!) you'll need to think even more carefully. The resort needs to be easy to get to, for one thing. Morzine is accessible however you are travelling, with excellent motorways (driving takes just 7-10 hours from Calais), plus established rail and air links. The skiing has to be extensive and impeccable, with Morzine that goes without saying. To attract all ages, there needs to be a range of day-time and night-time activities, and some small resorts can struggle to offer these. 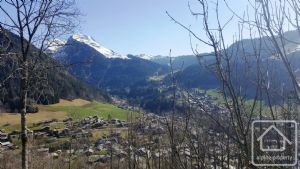 Morzine, on the other hand, has more activities than you have probably even heard of, ranging from children's snow play areas to night skiing. The après ski scene can be as lively or as low key as you wish, with an enormous choice of bars and restaurants in or close to the resort. And, if there are non skiers in the party, Morzine's lovely setting ensures that enjoyable holidays can be had by all. 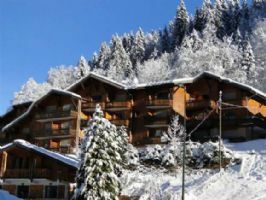 Whether you've got hundreds of thousands to spend on your ski property or you're looking for something to suit a tighter budget, Morzine has something for you. Prices start at under 100,000 Euros, and run to millions, with everything in between! 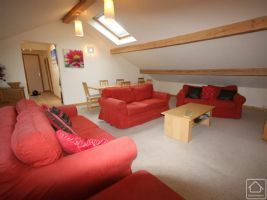 Handy and compact studios can be a great solution for holidays on a shoestring, while larger properties can let you live in the lap of luxury or even turn your ski base into a hotel or other business. So why not start by taking a look at the ten chosen below - your skiing holidays could be sorted with a click of the mouse! 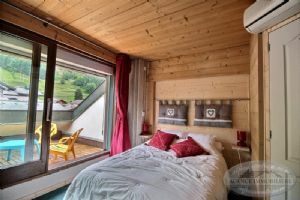 This studio is located at the foot of the slopes of the Nyon cable car in Morzine. it is in good general condition and rents well. A super 2 bedroom apartment in an unbeatable town centre location. 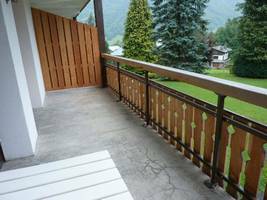 Right in the middle of Morzine’s rue du Bourg, Apartment Mignon is a fully renovated apartment offering airy accommodation on the second floor of a traditional town centre building. The apartment could not be better situated for easy access to the town’s shops, activities and nightlife, as well as being a two minute walk from the ski bus stop with navettes leaving around every 10 minutes to the three main ski areas at Pleney, Nyon and Prodains (Avoriaz). A large plot of land with outstanding views, ideal for a grand made-to-measure residence. If you are looking to build the chalet of your dreams, this beautiful, elevated plot is the perfect place to start. Perched on the south-facing slopes of the Route d’Avoriaz and overlooking the centre of Morzine, this expansive plot has uninterrupted panoramic views over the valley. At its highest point, the plot sits at an altitude 1100m. Fabulous apartment with three bedrooms all en-suite, situated in the centre of the village, within walking distance of the slopes. 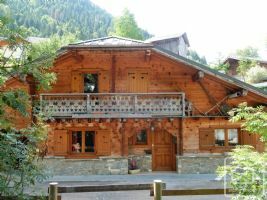 Beautiful three-bedroom chalet in a calm area of Morzine just a short walk from the town centre. Built to the highest standards in 2000, Chalet Udrezants offers a fabulous combination of traditional quality and modern styling. The chalet, which is set out over 130m2, has been beautifully designed and decorated with impeccable taste. The pretty and functional entrance hall leads into the main living area with open plan kitchen and comfortable living room. The top-of-the-range kitchen is stylish, fully-equipped and has room for dining. 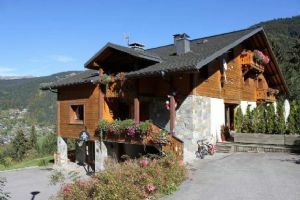 Chalet built in 2003, separated into two parts, making it ideal for running as a catered chalet. 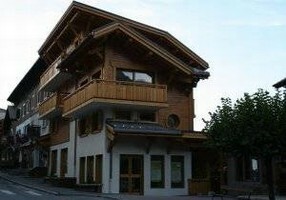 Magnificent chalet divided into several apartments ideal to be run as a catered chalet or to be rented out separately. 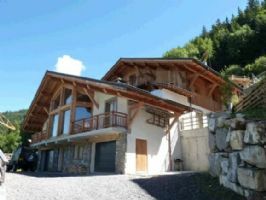 Split into five apartments, this enormous property overlooks the village and slopes of Morzine.